Mangaluru : The women’s wing and backward classes cell of the Dakshina Kannada Congress have backed the district in-charge minister Ramanath Rai in connection with the controversy over the minister’s direction to the superintendent of police -to book RSS leader Kalladka Prabhakar if he delivers incendiary speeches in the district. Addressing mediapersons here on Tuesday, District Women Congress President Shalet Pinto said that the minister gave instructions to the superintendent of police only in the wake of communal clashes in Kalladka. “He (Ramanath Rai) has not done anything wrong. Rai is a secular political leader. BJP leaders are issuing baseless statements against him. Conversation between the SP and minister has been twisted by BJP leaders,” she alleged. 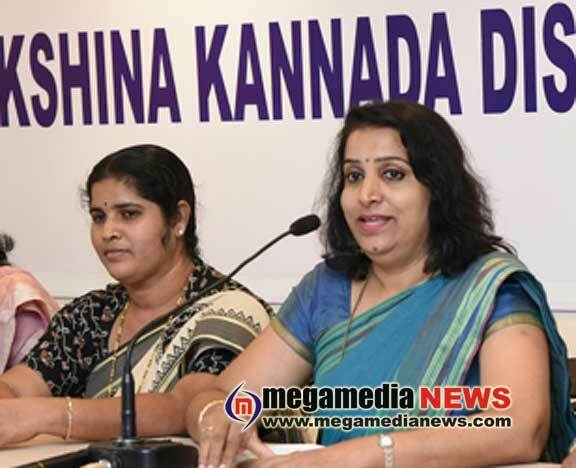 Shalet challenged Udupi-Chikkamagaluru MP Shobha Karandlaje to contest against Ramanath Rai and win the election. “The Congress never supports communalism. All those who deliver provocative speeches should be externed from the district. There is a need to check division of society on caste lines,” she said. Mayor Kavitha Sanil termed Rai as 24 carat-gold. He has concern for members of all the communities, she said. District Congress backward classes cell president Dharanendra Kumar said that innocent youths were suffering due to provocative statements of communal leaders. “Several innocent OBC youths have been booked for rioting. The minister has done right thing by issuing an instruction to the SP to take action against leaders like Prabhakar Bhat, who spread communal hatred among youth,” he said. MCC Standing Committee President Pratibha Kulai said the BJP men were afraid of losing the election. Development works initiated by the Congress government could not be digested by them. she claimed.